Volcano Curry. I can’t think of a more appetizing name. Volcano + food product is an instant sale for me, so when I passed Volcano Curry of Japan on my way to getting a Gordo’s burrito, (which has some pretty hot salsa), I knew I had to return one day. Nestled right in the middle of the Richmond on Geary, this restaurant is surrounded by eateries–yet, for a 10 foot radius, all that a passerby can smell is authentic Japanese curry. 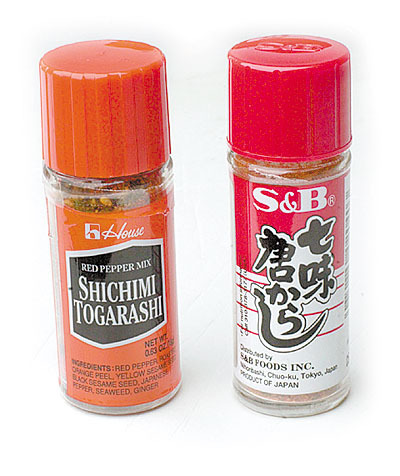 If you can find togarashi at your supermarket, TRY IT! Subtle yet strong foreign spice? Yes please! It smelled glorious. Since returning from living in Japan, I had yet to find a place that transported me back to that country so perfectly. But if you’re familiar with Japanese Curry you may know that, of all the Asian styles, it is traditionally the most mild. It was very difficult for me to find Japanese curry that I would consider spicy at all–often I would have to pour schichimi togarashi onto my meal. Instant dilemma. My goal is to reach the perfect mix of heat vs taste (and volcano already sounded like enough)–but, the idea of doubling down, or even tripling, was too mouthwatering to pass up. Double volcano, please! 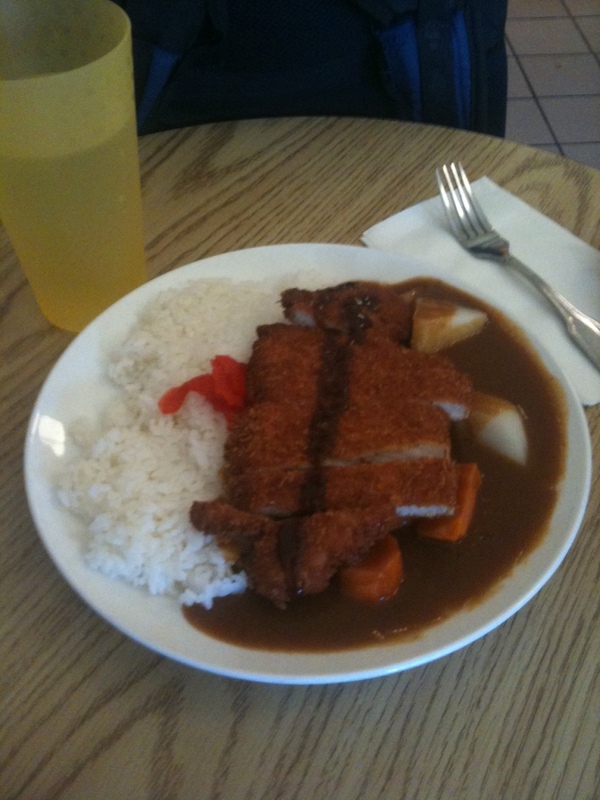 Around $8.75 — this katsu curry was AMERICA SIZED and spiced to kill. Before going on to the heat, briefly: the katsu (cutlet) was perfectly cooked and you could eat it with just a fork, like it should be. Crispy and warm throughout–this is such a perfect cold weather meal. Along with ramen and udon, Japan really excels in winter eating. The carrots and potatoes, however, were nothing to write home about and a bit undercooked. I knew it was only a matter of time before I ate a meal with a positive Z-Scale Score. To put this into some perspective: in my life, a score near +10 is what I would give to a few dishes that I’ve eaten that caused physical pain for over an hour, and instant regret. Items that can barely be classified as food. A score of +2 is perfectly edible, and I have no regrets. The ‘Volcano’ part of the meal, it turned out, is something special they add and is completely unknown to me–it didn’t simply mean they poured more curry sauce over the meal. And I was impressed from the first bite to the last. The heat came on extremely fast and it never stopped building. By the middle of the meal, I had a solid sweat going and my nose was running. I wish I had brought a handkerchief like I used to carry in Japan. This restaurant has an amazing menu and I can’t wait to come back to try something else. I have a theory that, if ordered at ‘regular’ volcano, Volcano Curry of Japan might be capable of producing the first Perfect 0 for Spicy San Francisco.